The Austin School of Furniture and Design is proud to partner with Austin Design Week to offer the first-ever Austin Furniture & Design Exhibition. This 4-day long exhibition focuses on bespoke furniture, decor, household design elements and the artists that create them. ADW and ASFD are bringing together exceptional examples of unique craftsmanship and design that will undoubtedly interest and inspire. Patrons can peruse the gallery, learn more about the pieces and the makers themselves. 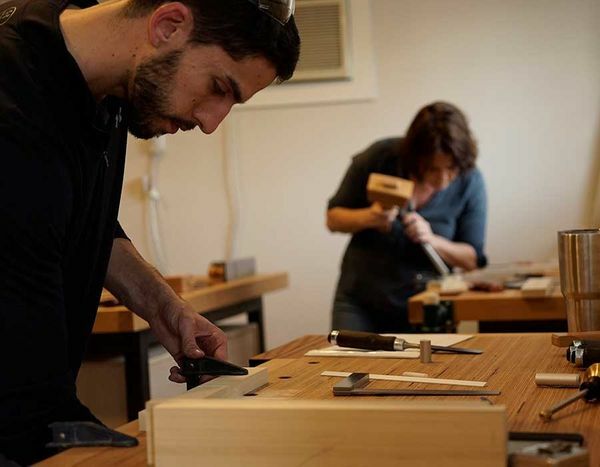 The Austin School of Furniture & Design is a woodworking and furniture school located in the heart of south Austin. ASFD is focused on passing down the craft of woodworking and fostering a creative environment for the next generation of furniture makers. ASFD offers different classes for varying skill levels and provides an education taught by experienced furniture makers and designers. ASFD feels that it is extremely important to learn and understand the traditions and historical techniques of furniture construction while embracing advances in design and technology. Hand tools to computer-aided machinery are all used to cover a broad understanding of both the past and future of bespoke furniture.